Phu Quoc se ha situado en el octavo lugar en una lista de 20 Los mejores destinos de luna de miel por Rough Guides, una editorial británica líder de información sobre viajes y referencia. It has been slotted behind Treasure Beach (Jamaica), Santorini (Greece), Buenos Aires (Argentina), Kwazulu-Natal (South Africa), Venice (Italia), The Great Ocean Road (Australia), and Kerala (India). 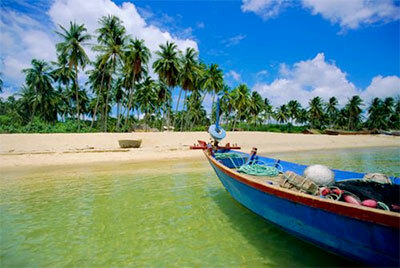 “Asia is full of honeymoon-worthy islands, but Phu Quoc remains one of the most appealing,” the website said. “Though it has undeniably been ‘discovered’ now, the level of development here is still relatively low key, enabling you to really kick back and enjoy the palm-backed soft-sand beaches and warm waters.